When it comes to festivals and celebrations, even the smartest of the money managers, often become reckless in their spending behavior. When it comes to festivals and celebrations, even the smartest of the money managers, often become reckless in their spending behavior. This habit becomes more prominent for the commoner like you. During the festival time, you spend lavishly on clothes, gifts, family vacations, shopping and decorations. 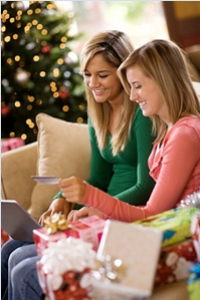 During this time of the year, majority of do not stop back and use your credit cards randomly. But as soon as the festive season ends, you start realizing that you had crossed your spending limits and in fact have accumulated some debts. And, this is the time when you vehemently try to make a balance between your credit card dues and other expenses, so that it does not affect your credit score negatively. This is a very common post-festival situation that many of you fall into. In order to escape this post-festival financial trauma, you need to plan your festival activities well before the festival. To get away with festival debts, you need to undertake proper planning and budgeting. Here we discuss about few tips, by following which you can stay away from festival debts. It would be prudent to set a budget for holiday and festival activities. These activities must include shopping, food, decorations, clothes, gifts and all other festival-related expenses. Make a conscious effort to spend within your budgetary limitations. Before using credit cards, it is important to know the credit limits in each of the credit cards that you hold. Thumb rule says that your shopping amount should not cross 30% of your credit limit. Keep a track of all the spending that you make with credit cards and make it a point that you do not cross the budget limit. If you have come to that point that you will cross the credit card limit with more purchase, pay the extra amount by using cash. This will help you avoid the interest burden of credit card debts. If you are an aggressive buyer during the times of festivals, make sure that you have cleared off all the existing credit cards dues. This will help you stay better footed at the times of festivals and will provide you the chance to spend little generously during the festival times. Before going out for a shopping, make a list of the items that you want to buy and allocate budget. Then try to stick to your plan. Do not indulge in temptative purchase. Do not take the festive occasion to show off your opulence to others by throwing a very big party, gorgeous decorations or expensive display. Keep in mind that this will put immense pressure on your pocket and in the long run it will do good to your financial prospects. Participate, enjoy and celebrate the festive occasion. But, make sure that you do not cross your financial limit during festival times.